Last Sunday, Liquid Kitty, a Santana 525, smoked the fleet at Peninsula Yacht Club taking the win in the first annual Sailor Girls Regatta. My limited technical ability prevents me from posting a video clip of their awesome start! 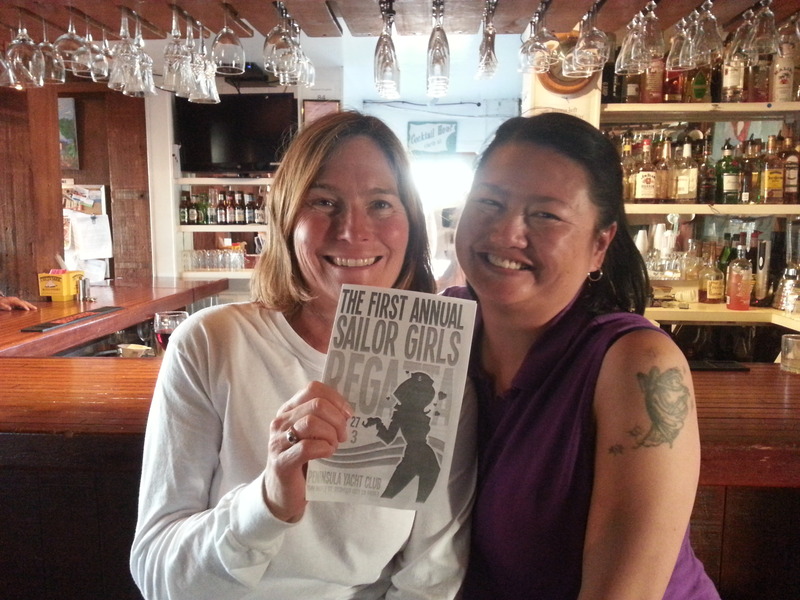 Congratulations to Yvette Yong on her innaugural win as a skipper and to her crew, Leslie Few! Left The Fleet In The Dust! Thank yous to Phil B. of PYC for taking the video of the race and producing a DVD.